The chefs at Disney Parks are busy concocting spooky and eerie sweet treats for the Halloween season. You might remember a little while ago I posted about the gingerbread haunted house that’s in the Haunted Mansion at Disneyland, but the Disney Parks Blog recently showcased some other great treats that are available in the parks for this ghoulish time of year! 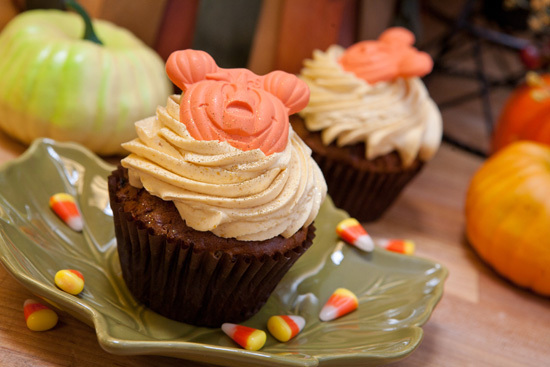 Fall cupcakes from the Blue Ribbon Bakery on Main Street USA. Gingerbread Mickey beignets from Cafe Orleans at Disneyland in California. Beignets are like a French donut that are very popular in New Orleans. They generally are covered in loads of powdered sugar (like at Disney’s Port Orleans Riverside Resort) but at Cafe Orleans, they use granulated sugar instead. Grab a cup of java and find a seat near the entrance to Pirates of the Caribbean and just watch these Mickey-shaped treats melt in your mouth! 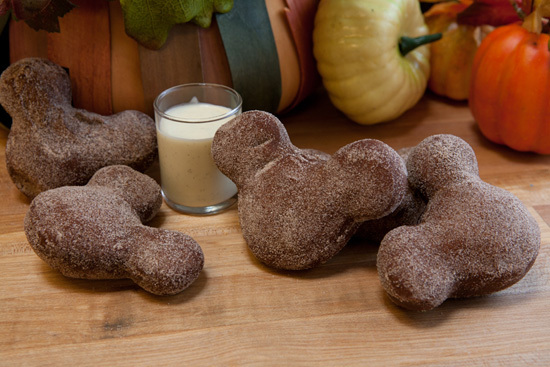 Check out more Disney Halloween treats! This entry was posted in Cuisine - Desserts, Disney and tagged beignets, Cafe Orleans, Disney, Disney World, Disneyland, fall, Halloween, Haunted Mansion, Main Street Bakery, Mickey, Pirates of the Caribbean, Port Orleans Riverside by Christina. Bookmark the permalink.